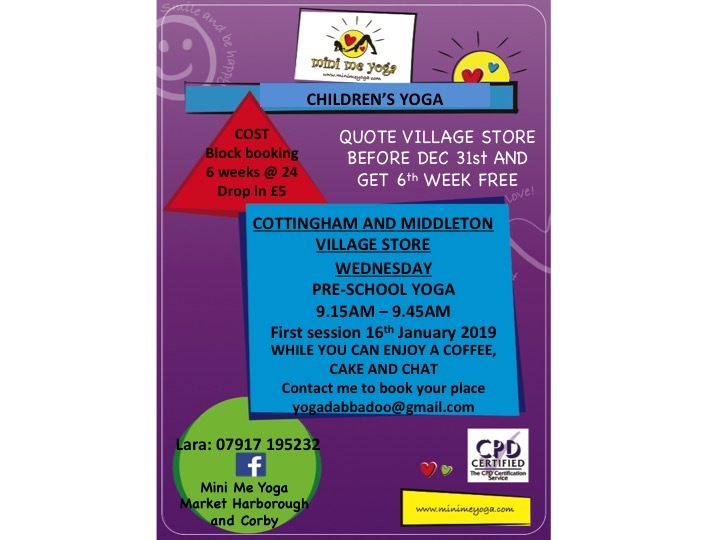 Mini Me Yoga is starting yoga sessions for pre-school children from 9.15am to 9.45am on Wednesday mornings at the Cottingham and Middleton Village Store and Cafe, starting on 16 January 2019. 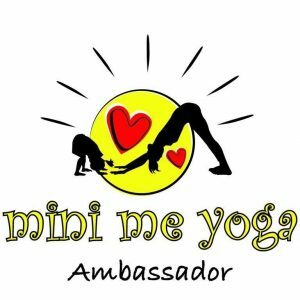 The sessions will take place in the shop’s upstairs room, so you can enjoy a coffee and cake with your friends while your youngster is entertained and enjoying learning yoga. 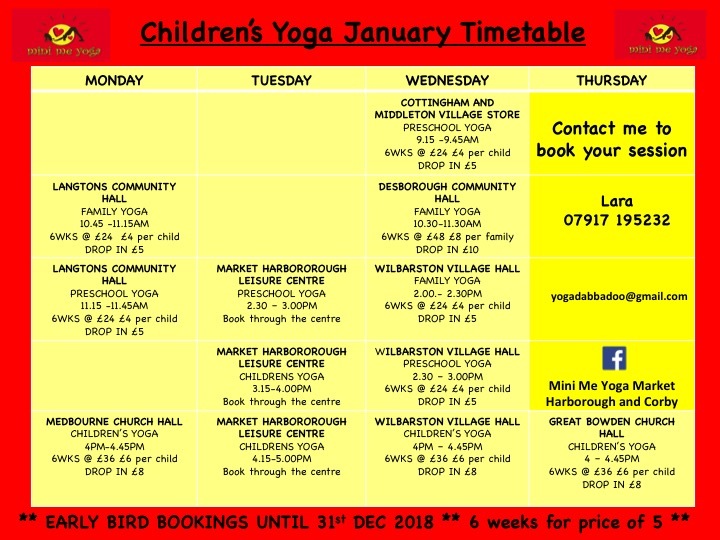 The cost is £4 per session, or £24 for a block booking of 6 sessions.